Not to be confused with Taj, a Marth/Mewtwo player also from Arizona. 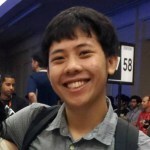 Tai is a professional Melee Marth player from Phoenix, Arizona. He is renowned for his exceptional tech skill and creative punish game with Marth, and is considered one of the better Marth players on the West Coast. Tai is currently ranked 3rd on the Arizona Melee Power Rankings and 72nd on the 2018 MPGR. This page was last edited on February 5, 2019, at 11:48.